Jacob Thompson has willfully violated the Packers and Stockyards Act, 1921, as amended and supplemented (7 U.S.C. § 181 et seq.) (Act), and the regulations promulgated thereunder (9 C.F.R. Part 201)(Regulations)….. During the period of July 8, 2013 through September 10 2013, Respondent purchased $781,133.24 of livestock in four transactions with Sulphur Springs Livestock Commission Co., Sulphur Springs, TX, and in one transaction with Red River Livestock LLC, Coushatta, LA, in which Respondent failed to pay, when due, the full purchase price of livestock……. From June 12, 2013 through August 28, 2013~ Respondent purchased in five transactions from Red River Livestock, LLC, $1,027,865.12 worth of livestock for which Respondent issued checks in purported payment for his purchases that were returned unpaid by the bank upon which they were drawn. Jacob Thompson, 30, was arrested by TSCRA Special Rangers Kent Dowell and Bart Perrier on Hurley’s theft of livestock warrant out of Hopkins County. Salisaw, Okla. – A Louisiana man was arrested on Monday for the second time this year in Salisaw, Okla. and charged with second degree theft of livestock. Texas and Southwestern Cattle Raisers Association (TSCRA) Special Ranger Toney Hurley led the investigation. Jacob Thompson is a convicted felon On 4/25/2016 in Hopkins County Texas, 8th Judicial District, Mr. Thompson plead guilty to a first degree felony theft of livestock and a second degree felony theft of property. He received 10 years’ probation for the first degree felony and 10 years deferred probation for the felony 2. Currently Jacob Thompson is facing multiple charges by the Louisiana Department of Agriculture; hearing scheduled for January 5, 2018. *** On this one, remember those 39 mares & foals from TX? it was this load specifically, & the Agency’s ability to nail them as it was happening, so kudo’s to those who assisted with identifying which auction they were coming from, and La. Dept of Ag’s quick work with their Texas counterparts! 5) Improper disposal of animal remains. *** Some may remember TMS’s ranting video about the Dept of Ag flying overhead for an hour and 15 min… in reality, the Dept of Ag was overhead for 15 min only – at max. The “hour and a half” that she made reference to, was obtained from public records that record the entire flight duration – and the authorities chartered their agency plane from a location not close to Pitkin. Total fines $3150, payable in 30 days or contempt. I know some may say “oh that’s too low” but, the fact of the matter is that all of these charges COULD have been combined into one summary $1000 fine (or less) so it is a huge statement, that the Board rejected this agreement which was proposed by Thompson’s attorney, and instead treated each violation separately. In addition, there were numerous USDA vets present at the hearing, another indication that federal authorities are tuned into this situation and will be more engaged going forward. Gary Thompson was not present. His attorney represented them. 1) this was for movement of CATTLE from Florida to La. without paperwork. had absolutely nothing to do with the recent horrific horse trailer accidents which are active investigations. 2) the vets in Fla would not issue paperwork (commendable!) b/c the cattle were not in their opinion healthy enough to make the trip. Thompson’s moved them anyway, no surprise. Fla vets alerted La. Dept of Ag. When the trailer was stopped, there were dead cattle found to be on board. 3) this is the MAXIMUM fine that the Board could’ve been imposed for this infraction, per the Louisiana law. 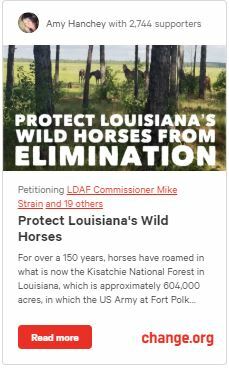 4) There is, in the state of La, legislation making it’s way thru which when enacted, will change the fine from one per incident, to one per ANIMAL. Hopefully, this change will be expedited thru. I want to try & find more details on the bill, current status, etc. Had this been in place already, the fine would’ve been +$30,000. 5) To reiterate, the Animal Board of Health did the MOST they could do, with the laws. they did not settle. They did not dismiss. 6) There will be a separate post with the police report from the WI accident, which will clearly show that there is more in the works, for this specific incident.